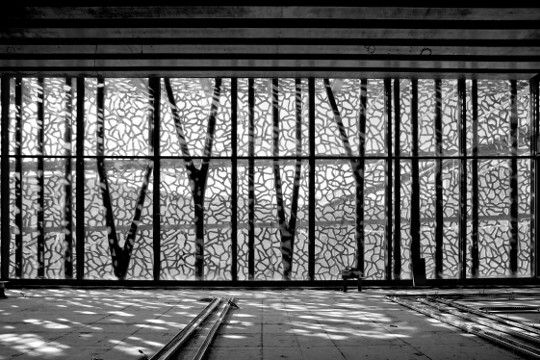 I was reading the August issue of Architectural Review magazine the other day when I came accross to a spread about a museum that was recently built at Marseille in France. 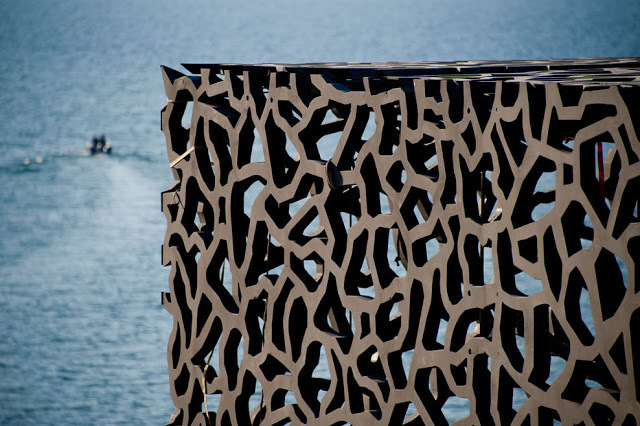 MuCEM has a fascinating cladding that could have easily achieved by using steel, but the architect, Rudy Ricciotti firmly believed that the façade should be made out of concrete, that was because concrete is resistant to corrosion and is more environmentally friendly than steel. UHPFRC is not the type of concrete that can be applied on the building in-situ (in-situ is a term that means that it is built on site), it can only be precast and delivered on the site. This also helped Ricciotti designing elegant, tree-like columns that will resist wind loads and bearing floor loads.